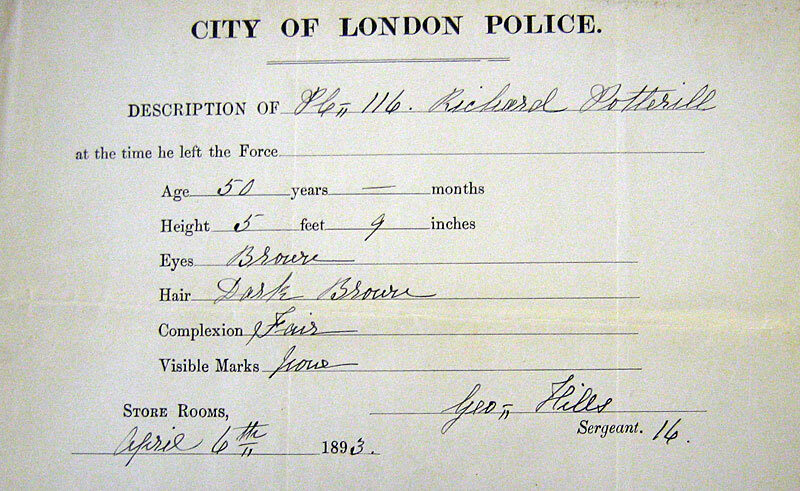 Document Dated 15/03/1866 Page 1 of Richard's application to join the London MET police. 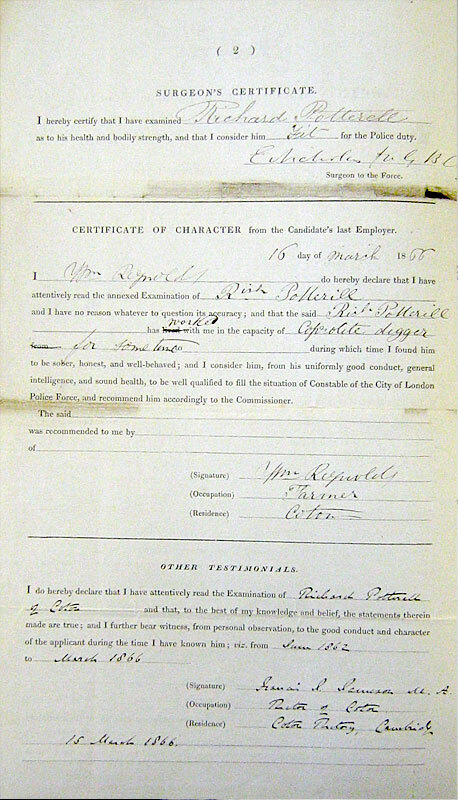 Document Dated 15/03/1866 Page 2 of Richard's application to join the London MET police. 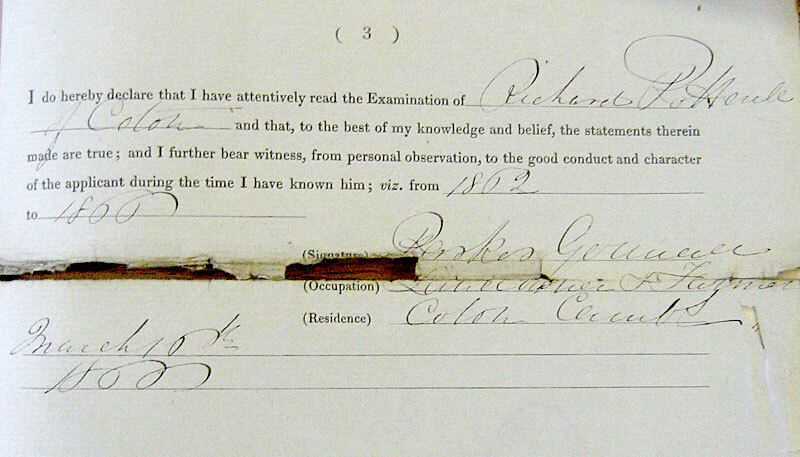 Document Dated 15/03/1866 Page 3 of Richard's application to join the London MET police. 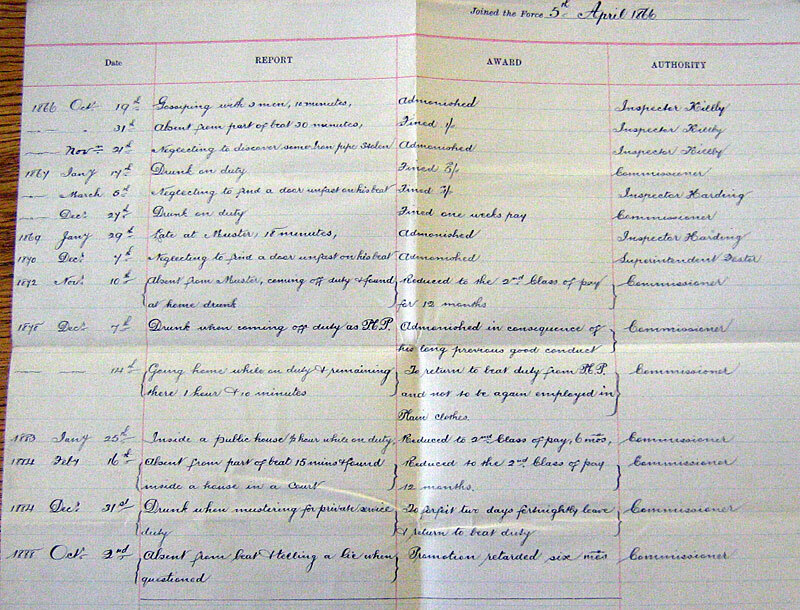 Document Dated 1866-1888 Richard's employment history within the MET showing several punishments for being drunk as well as some rewards for good police work. 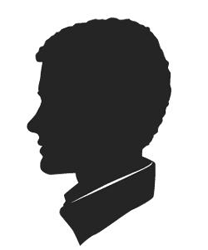 It should be noted that some of the drunk "episodes" roughly correllate to the deaths of some of his children, notably in 1878. 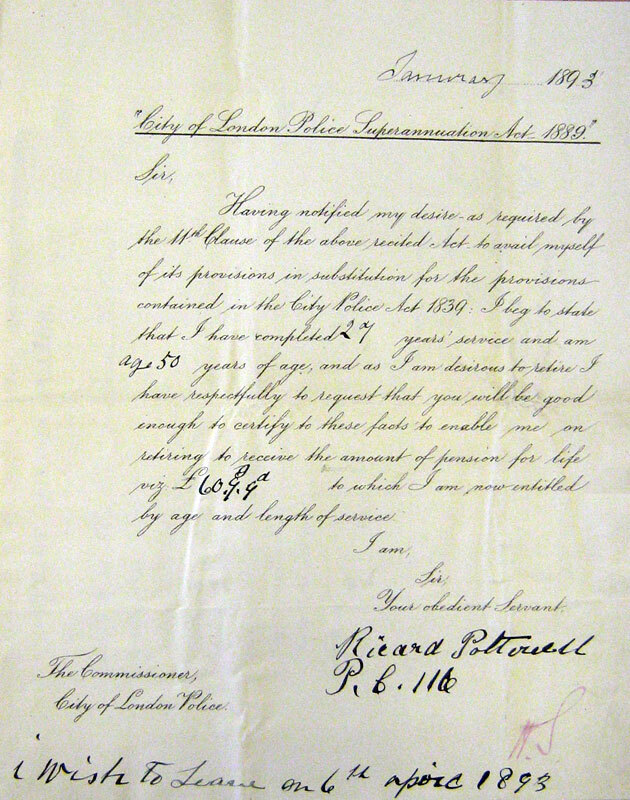 Document Dated 06/04/1893 Richard's request to retire from the MET police and receive his pension. 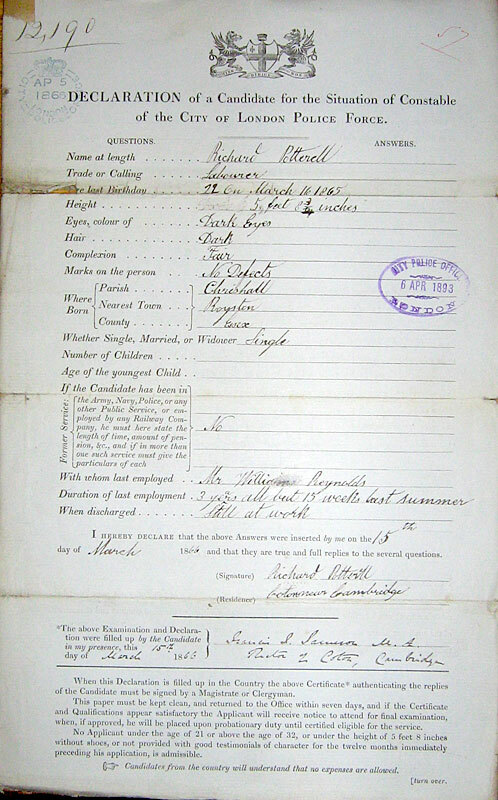 The tabs above contain details for Richard POTTERELL and was last updated on 5 Nov 2011, if you believe you are related to, or have additional/more accurate information for them please feel free to drop me an email.